As buying a private condo requires a serious investment, you should be well informed about all the things you need to deal with before you finally move into your new home. 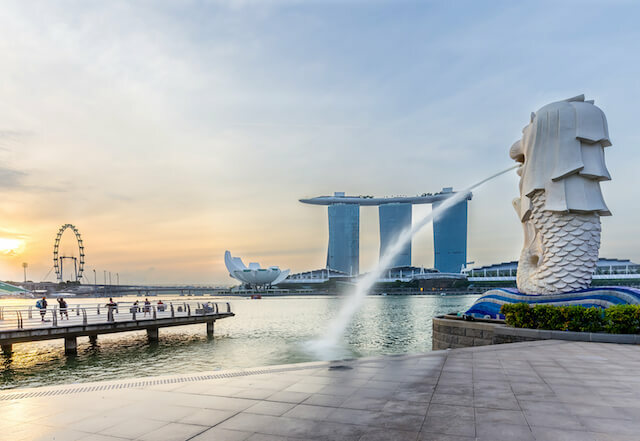 If you want to make sure you have done everything you can do to protect your interest and gain a dream condo, you may want to read this short guide that will lead you through the process of buying a condominium in Singapore. Are you eligible for purchasing a condo? This is an important question both for Singaporeans and foreigners so make sure to answer it before you do anything else. A reliable answer to this question can be found on the Housing & Development Board’s websites. Have you chosen the location that suits your needs? There will always be buyers who will rush into buying a condo without first reading more information about the neighbourhood. This behaviour is typical for those who do not necessarily want to buy the condo unit to live in it but to rent it out. However, if your long-term plan is to live in the condo you are buying, you should be wiser than that. You should check the accessibility of public transport and essential amenities as well as the amount of money you are willing to spend. A condo in Singapore that attracts a lot of attention because of its location and easy access to great amenities is Marina One Residences. Have you hired a reliable real estate agent? Although you may be lucky enough to buy a charming condo for a reasonable price on your own, you probably do not want to deal with the potential complications all by yourself. Complications are easily prevented if you hire a real estate agent who is familiar with the location you are interested in as well as with your requirements. To make sure you have made the right decision, you should check if your agent is a member of the Institute of Estate Agents. Does the condo offer facilities you find important? When it comes to condos, there are a variety of services you may find necessary, starting from car parks or pools, all the way to playgrounds, parks, tennis courts, etc. Not every of them will have everything you need, and that is why you have to find more information about this aspect, as well. Marina One Residences, for instance, offers not only luxurious facilities inside the complex but also easily accessible amenities within its surroundings. Have you collected information about the developer? Finally, obtaining information about the developer of the condo should be among the top priority tasks on your to do before buying list. Once you find out more about the developer’s reputation and credibility, you will have a better idea if the condo is worth buying. If you conclude that you lack essential information, you should consult your property agent regarding any questions. You should collect first-hand information as soon as possible, to avoid problematic situations once you have already bought your condo or even moved in. Contact a property agent today if you have any enquiries or would like to view the Marina One Showflat Location.